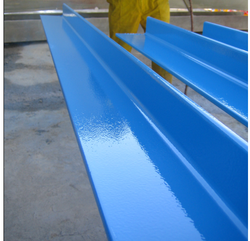 Reflectomark: Reflective coating system for vertical surfaces. Reflectomark is an exterior durable coating system that is highly visible at night behind a light source such as vehicle's headlamps. 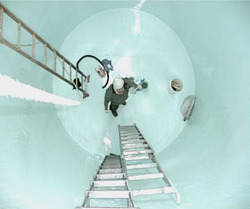 This coating has to be applied from inside the Ovens and Dryers. Suitable and recommended for Ovens working below 2500C. We have received results upto 35% of fuel saving.